I have been a little obsessed with marshmallow fluff for awhile now. Really since a few years ago when I visited the most amazing ice cream store in Santa Cruz, Penny ice Creamery. 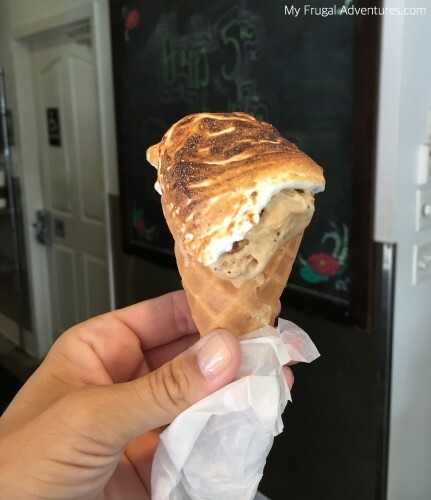 They make a delicious S’Mores ice cream cone- basically ice cream of your choice, topped with homemade fluff and toasted right on the cone! How good does that look? It tasted even better ;). I have been wanting to recreate this at home for awhile on both ice cream and on hot chocolate. How fun and special right? So to make homemade fluff could not be easier. I found a wonderful recipe from King Arthur Flour that worked beautifully. Basically boil sugar, whip the heck out of eggs in your mixer, combine them and enjoy. 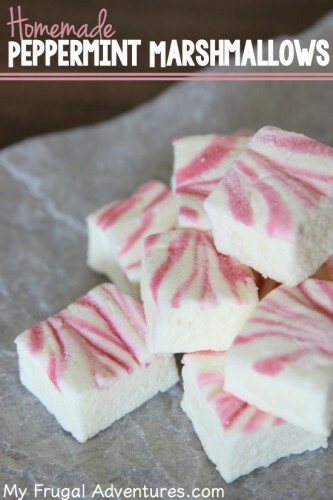 Ready to get started making this yummy stuff? Add water, sugar and corn syrup to a saucepan and stir to combine the ingredients. Place over medium-high heat and allow to boil until the temperature on a candy thermometer hits 240 degrees. Watch carefully as it will burn easily and do not stir the mixture. Once the temperature gets close- maybe 200 degrees or so- add egg whites and cream of tartar to your mixing bowl. Start beating your eggs at a high speed on your mixture until they form soft peaks. About 3-4 minutes. Once the sugar is done, immediately remove from heat and carefully pour into egg white mixture. Try to aim for gently pouring on the side of mixing bowl to slowly incorporate. 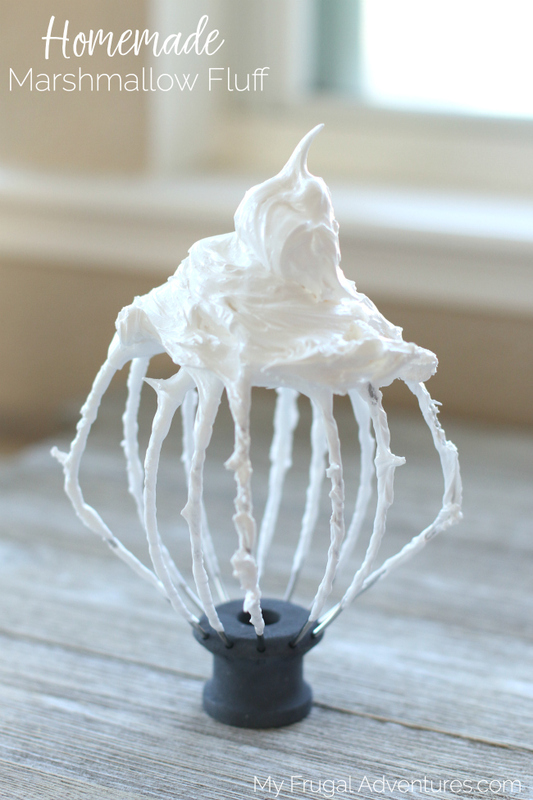 Continue whipping at a medium to high speed for about 7 minutes until the mixture is quite fluffy and glossy white and thick. Add vanilla and mix just until incorporated. Remove from mixer and pour into a glass jar. Can be refrigerated for several weeks. And that is it. 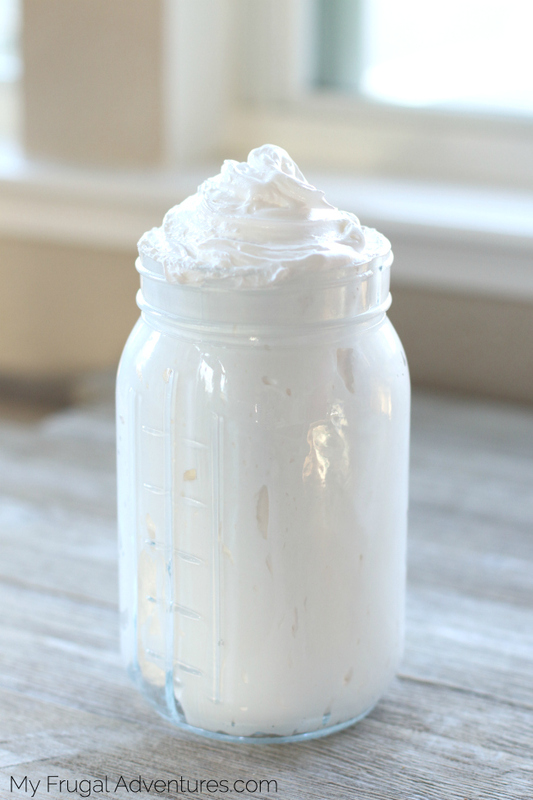 I swear it is really simple to make – just be sure to watch your sugar so it doesn’t burn and let your Kitchenaid do all the work for you whipping this up into a beautiful fluff. 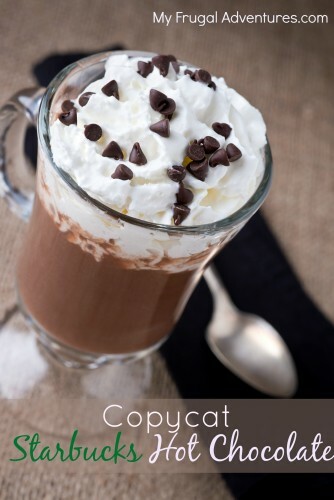 This recipe makes a lot of fluff- I would say easily 6 cups so one batch would make several gifts for people. I read on another site that homemade fluff can be frozen. Have you ever tried this? I really only want to make a 1 cup version of this??? Frozen really? Hmm… I am sorry I have not tried freezing it.